Firearm license type: In the process of acquiring PF license. Do you have any medical certification? No, but I am apart of FD. Have you ever worked as a security guard before? if yes, please mention the name of the places you have worked at: No, but as a FD member I have an experience in crowd control. I have been living in Los Santos for almost a year and a thing that I really like is going to nightclubs and reduce stress. When I am in a club I have the ability to see what it means to be a security guard or a bouncer as it can also be said that. I see guards always when I am in a club and chilling. They are highly trained individuals who can get you out if you cause problems and carry disturbance into the decent atmosphere. They deal with huge scums sometimes, some drunk or high or just assholes who think that they can everything they want by their terms. Recently I don`t like so much to go to nightclubs, I have an inspiration of becoming a security guard. I only go to pubs to see how they work. 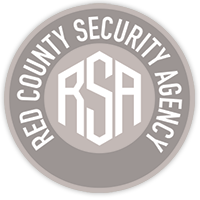 That way I encountered the Red County Security Agency and its employees. I saw their professionalism in act and decided that I want to join them. I, Kelly_Mason, hereby declare that I have read and understood the rules, and understand the consequences that follows by violating them. Well I have been scrolling your faction topic and I have to say that I am amazed of the quality of roleplay that you provide - it is of high-class and I want to be a part of it and enjoy decent RP with your faction. Also I want to be a part of RSA, because since joining LS:RP I always wanted to RP as a bouncer - they get also huge cash, but mostly it is fun to interact with other players and sometimes kick their asses out of the club. The most beautiful thing in LS:RP is the nightclubs RP and I want to be a part of it as a security guard.